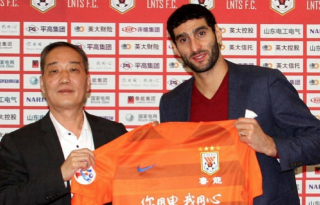 Marouane Fellaini has been ruled out of action for three to four weeks with a calf injury. 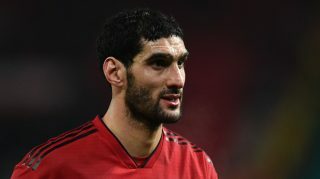 The Belgian has only made two substitute performances under caretaker manager Ole Gunnar Solskjaer, who confirmed Fellaini is out injured. 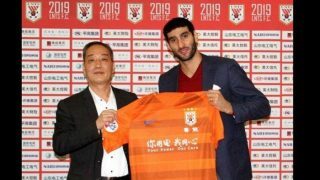 Fellaini was rumoured to leave United this month with Belgian publication Het Nieuwsblad claiming AC Milan, FC Porto and Chinese Super League outfit Guangzhou all keen to sign the midfielder. The fact Fellaini has rarely featured since Solskjaer has come in would suggest a player of limited ability doesn’t suit the Norwegian’s system. Under former manager, José Mourinho, he was used as a Plan B. An ugly but effective one at that. But it is hard to imagine this United side sitting back at the end of games and lumping high balls forward while Fellaini is stood in the opposition box. 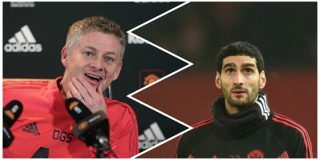 Solskjaer’s approach is less predictable and he is more likely to bring on a technically gifted player in those situations. 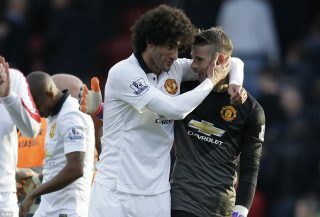 Fellaini does deserve credit though. He does whatever is asked of him and is never shy of giving 100 per cent. It will be interesting to see how often he features under Solskjaer between now and the end of the season.